What do you think Jesus really meant when He said this? Was He implying that I should try to find a happy place in my mind so I can feel a sense of calm and peacefulness? Was the Lord hinting that I should shut my eyes when I pray to cut down on distractions? Did Jesus mean that I should pray about what clothes to wear every morning? Could He have been suggesting that if I can’t close my closet doors, that perhaps I have too many clothes? Could you do it? Would you do it? Should you do it? I mean, actually clear a place in an actual closet in your house, put a folding chair inside, and go sit on it for a few minutes every day. 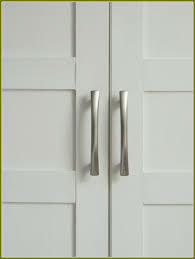 What would it be like to close your closet door and talk to God in there? Nah, that can’t be what He meant. I’d feel foolish sitting in my closet, praying. What if someone heard me? That would be embarrassing. How would I explain my unusual actions? Surely He wouldn’t ask me to do something odd like that. What could possibly be the benefit of such a strange practice? I must be taking Jesus’ words too literally. This entry was posted in Devo Drops and tagged closet, prayer. Bookmark the permalink. Unfortunately I think I might be answering the 5th question. You give good thought to prayer and I think I will clear out a physical spot somewhere and give the Lord room to talk to me as I talk to Him. Thank you for your encouragement. Peggy, I think I might do it too! Let me know what you think! I agree that speaking out loud or in a whisper really helps to keep my mind from wandering, as does writing prayers down. I seem to need to keep my eyes from wandering to the computer or a book or a list of things to do. Still learning, after all these years! 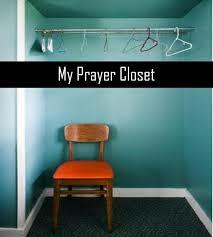 As for closet praying, I see the value in the small space, the stark emptiness, the shutting out of distractions. There really is nothing else to do in there! I step out feeling like I just shared a secret with my best friend. I always appreciate your thoughts, my deep-thinking-friend! Focusing on the One is much easier in a closet, I think.